This course is for people who have some experience or are experienced in Emotional Freedom Techniques or tapping as its widely known. If you have no knowledge or experience of EFT then there is an online course available here. 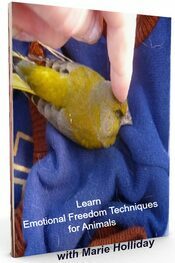 EFT is an invaluable technique can be used both for yourself and for your animal companions and indeed wildlife and all animals. 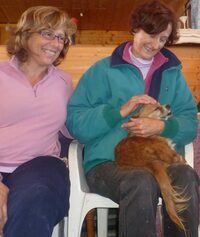 As a Master Trainer of Trainers with EFT Marie discovered some of her own ways of working with animals many years ago - both surrogately and ´on´ the animal with EFT a phenomenal energy technique. 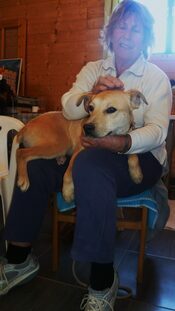 She did her own research and developed new ideas and ways of using tapping with animals. She would love to share these skills with you. Marie does occasionally hold workshops or teaches if people get a group together. Contact Marie for more details here. 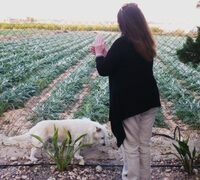 EFT & Animals Downloads, there are 5 comprehensive downloads packed with Marie's years of experience as an EFT Master Trainer of Trainers and her own work with animals . Details of the Online Course Options here are with or without tuition. Payments on secure site by Pay Pal or Major Cards. Please note Access Code for your Downloads if paying by Pay Pal and contact Marie for code when paying by alternative methods. 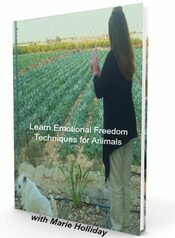 1) Learn Emotional Freedom Techniques for Animals . 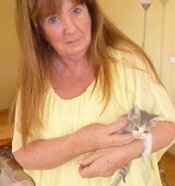 2)This Surrogate Tapping Aid Download is a great little resource Marie developed to help people who found it difficult to know what to say, how to say it and what to do with their own pets when using EFT and surrogate work. Surrogate work with animals often worries people and yet it works equally as well as normal -in fact some would say better.It is an easy guide that gives you a step by step follow through procedure for you and your pet or other peoples animals.You can use a photo of the animal or pet if available. Additionally you can adapt for people. 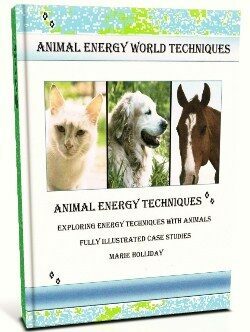 3)This fully illustrated 40 page book with Marie's own photographs documenting her use of EFT with animals is a great resource for suggestions, ideas to help you get started .It will help you explore the vast range of animals that you can work with from domesticated animals to wildlife to insects. 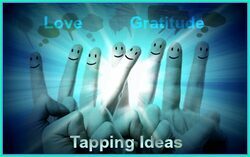 4)The Energy Exchange Photo Techniques are Maries own techniques that she developed and presented at EFT Masterclass 2009, UK. 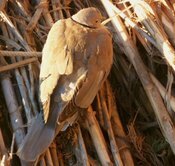 She has since updated them to include many varied uses of photographs and tapping for animals. 5) Tapping ideas and suggestions for your animals. Marie has included an Ebook including suggestions, ideas, tapping phrases and set up phrases with different problems such as anxiety, breathing, stomach etc . 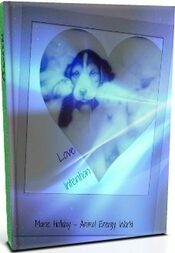 The book includes the importance of using Love and Gratitude and how to introduce Positive phrases with animals into your tapping.